hi there, i got woof with Chromium theme, i installed it, i created vehicles taxonomy, i set up and placed the hierarchical filter at my homepage, i set autosubmit feature, ajaxify features on but when i select first term, the second term is still disabled. can you please help? thanks. to give more details.. i put the woof shortcode on header… on homepage when i select the first term (car brand) nothing happens (autosubmit is on), when i click filter button, it goes to that brand’s page and i can then select each terms..
Hello, I am testing the demo version to apply in my store but I have encountered some problems. First there seems to be a conflict with my “flatsome” theme where problems appear in the tooltip tool. Just mouse over the social networking icons in the menu that you can view. Thank you. Getting my hands dirty with WP/Woo. I’ve searched, but see no native-mention of it supporting Advanced Custom Fields. Is it trivial to add data from ACF into the filter sets? Sigh… I GOOGLED it, but see I’m not the first to ask in this forum. Sorry! I have a store with many categories, like Perfumes,Makeup…etc. For example if I clicked on Makeup, I want specific filters to appear like (Makeup Brands). and for example when clicking on Perfumes, I want filters like (for him,her) to appear only when clicking on Perfumes. So I want certain filters to appear when selecting other specific filters. Can I do that? Hello, are you sure this plugin works with custom fields created with ACF plugin? plugin works with custom fields! But only if it is not serialized data. I tried the free version, but I can’t get it working. Do I need to buy the premium version for this? Here you can see the ‘meta_key’ in the database: https://postimg.cc/Lh2sTfw2 It seems to me that the data is NOT serialized. I don’t know if I fully understand you. But I need the values (oro24kts, oro40kts, etc. :https://s.nimbusweb.me/share/2549518/491tyoza1vs354kazn06) to be taken from the data stored in the products. Adding these values manually is not an option for me. In this case, this plugin will not suit you. ok, what if I use custom taxonomies (instead of custom fields) created with the plugin: https://es.wordpress.org/plugins/custom-post-type-ui/ ? So my question is: how to only output the colors in the filter that are actually available in that specific category? If you use [woof] add attribute : taxonomies=product_cat:X Where X id your product category. The search result should not be indexed. 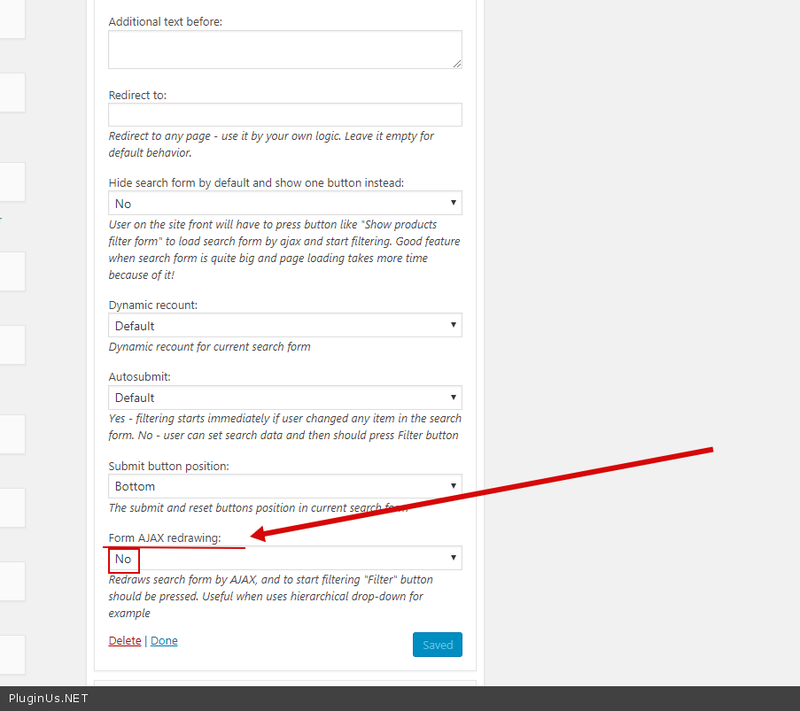 The main thing is not to use links in the content with a search GET request. After playing around with the free version for about 3 days it seems to be much more optimized for vetical sidebars unfortunately. For horizontal display requires some good CSS tweaks, with both the [woof] shortcode and also if using “set filter automatically” option. It would be great if each filter had a shortcode if that is possible. Would make styling it much easier as well. For example, [woof_categories], [woof_brands], [woof_colors], etc..
Edit: Had a question here, but solved it. Please disregard. How can I hide/show/apply specify filter to specify categories? e.g. Shoes—> use Size filter and hide color AND clothing use Color fllter and hide meterials filter? I want to tell you, I have +- 6.000 Wheels, 500 Tires, and more Accessories. There are 4 filter variable that I want to use. Car recommend (30 Cars), Model/PCD (15 items), Ring/Diameter (15 items), and Width (10 items). 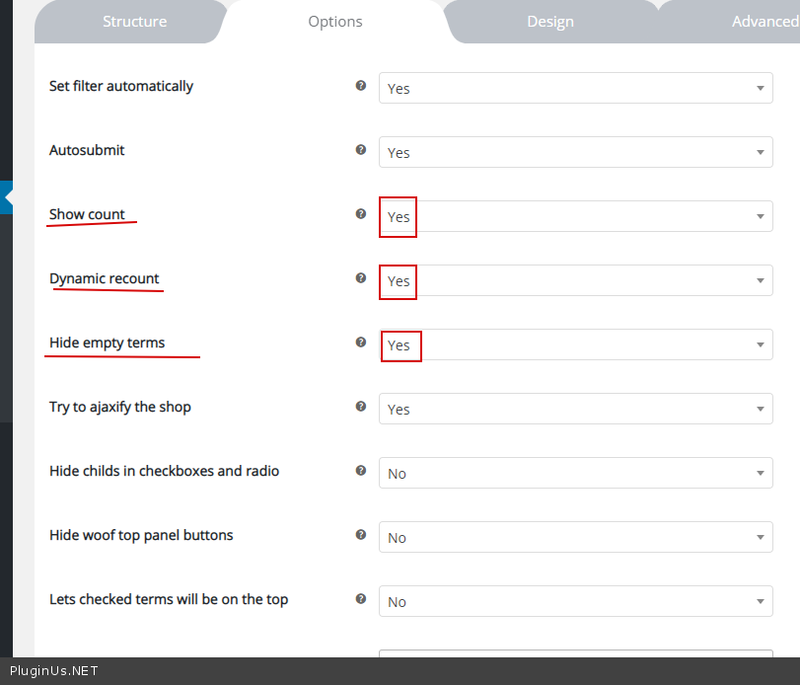 In this case, how about your opinion to make this filtering system (in test_tax category) works efficiently and easily? When I click the + sign on a category (on the demo page for this plugin), the sub-categories go nuts and pulsate up and down – is it only me ? Tried with both Firefox and Chrome – so I’m a bit nervous to hand over my money for the pro version BTW: I noticed this a few weeks ago! Looks like this error is on your device only. 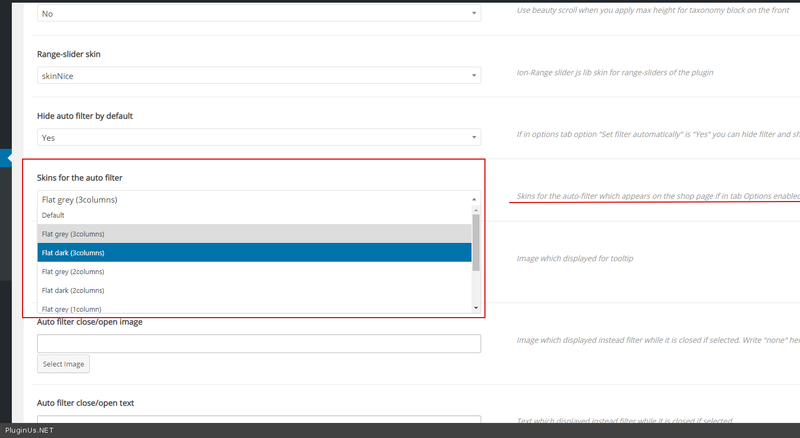 Not sure if you have misunderstood, but this is on your demo page: https://preview.codecanyon.net/item/woof-woocommerce-products-filter/full_screen_preview/11498469 To reproduce: Under Clothing, click Man (checkbox) – then click the + symbol to the right of Man and what I’m reporting should happen. I just tried it on Edge and it does it – so that is 3 devices, Edge, Firefox and Chrome. Ok! I will pass it to the developers. I just tried again and still the same problem – so I tried on a Mac using Safari and it does it too – are you able to reproduce ? Yes! Developers already know this and fix it. Ah yes it was in spam indeed. Thanks! How can i change ?swoof to ?filter on url when filtering something? В каталоге есть товары и атрибут “Автомобиль” с марками авто. Одни товары подходят для конкретных авто, и есть товары подходящие для всех авто. Как можно сделать, чтоб при выборе “Автомобиля” фильтр выводил товары подходящие под выбранное авто, а так же вывел все товары которые подходят всем? Я могу добавить в “Автомобили” значение “Все”, но как программно добавить условие в выборку по принципу “Отобразить Автомобили: Хонад ИЛИ Все”? Но это не вариант. Я постарался изменить критерии фильтра woocommerce (перехватить и внести свои правки) но похоже что в момент нажатия на фильтр процесс вывода берет на себя ваш плагин, а не woocommerce, это так? у вас в FAQ есть статья “How to manipulate with search data options”, как можно ей воспользоваться чтоб изменить параметры поиска, переданные при применении фильтра? Я дал Вам самый легкий путь. В другом случае используйте статью “How to manipulate with search data options” – В статье все описано. Но это всегда будет исполнятся и не будет зависеть от есть ли поисковый результат. How do I get anyone to respond to a support request after purchasing this plugin. Is there a limit to the number of categories to display on the Free version? I just added my 11th product category and it does not display. I will buy the paid version if I have to. plugin has no such limitation.